Disney to launch Theme Park mobile game. Disney Interactive and game publisher Gameloft are set to develop Disney Magic Kingdoms, an interactive experience for iPhone, iPad, iPod touch, Android and Windows Phone. The game will reimagine Disney Parks for mobile devices, letting fans build the theme park of their dreams by recreating and placing rides in an animated landscape. With influence from the Disneyland Resort in California, Walt Disney World Resort in Florida, Disneyland Paris and more, the game will feature attractions such as Space Mountain and California Screamin’. Users will also be able to interact with characters from more than 90 years of Disney history, including Mickey Mouse, Cinderella, Buzz Lightyear, Mike Wazowski and countless others. Additionally, players can undertake various quests to save the park from villains including Sleeping Beauty’s Maleficent, Toy Story’s Emperor Zurg and Tangled’s Mother Gothel. 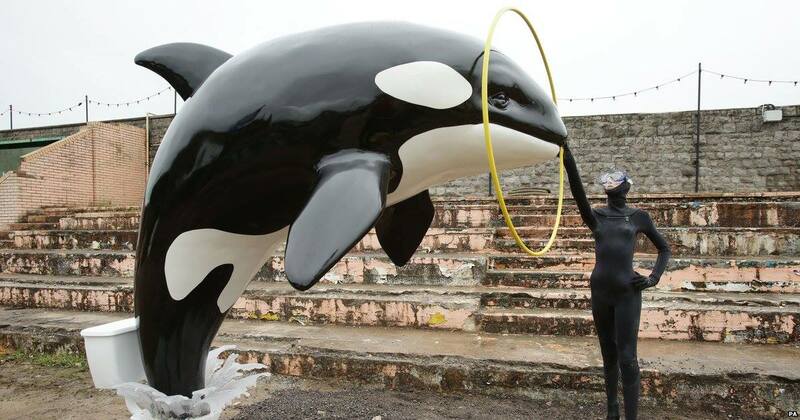 Banksy opens Dismaland Bemusement Park in Weston-super-Mare. Graffiti artist Banksy has announced the opening of The Dismaland Bemusement Park exhibition at a derelict seafront lido in Weston-super-Mare, England. 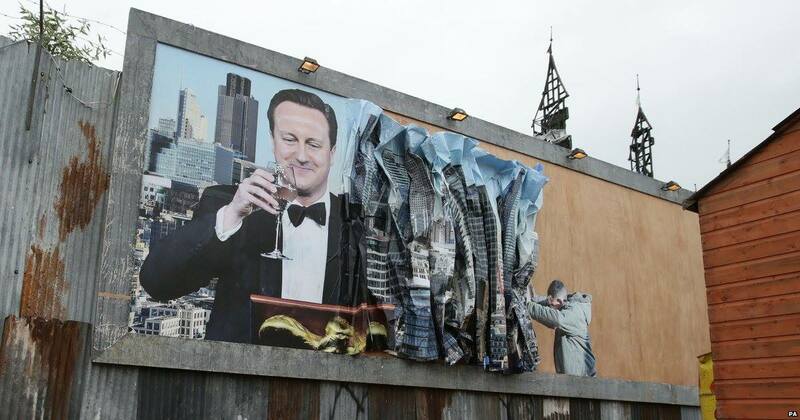 The exhibition is his first in the UK since 2009’s Banksy v Bristol Museum show which drew huge crowds. 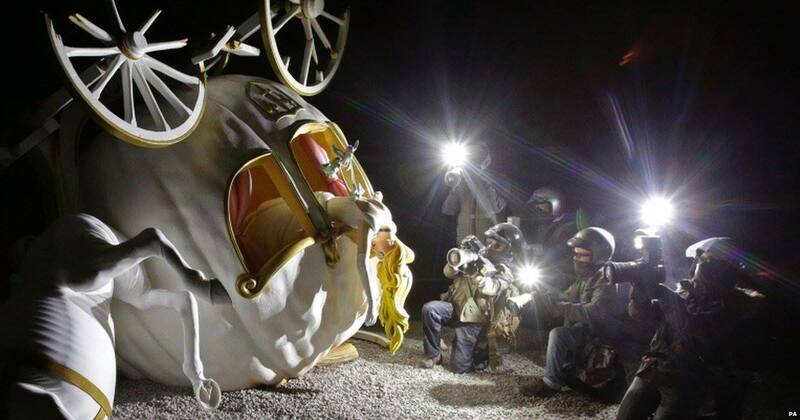 Banksy has described Dismaland as a “family theme park unsuitable for children”. 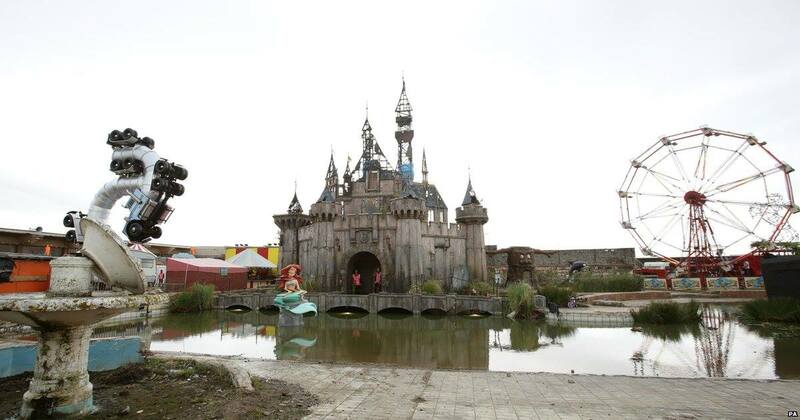 The Dismaland Bemusement Park will feature work from Damien Hirst, Jenny Holzer , Jimmy Cauty and Banksy. 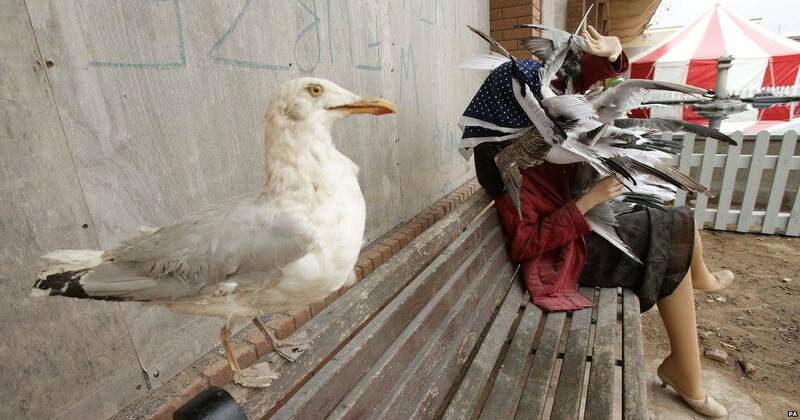 Artist Banksy is notorious for his secretive and subversive stunts. In 2006 he placed a life-size replica of a Guantanamo Bay detainee inside the Big Thunder Mountain Railroad ride at the Disneyland park in California. 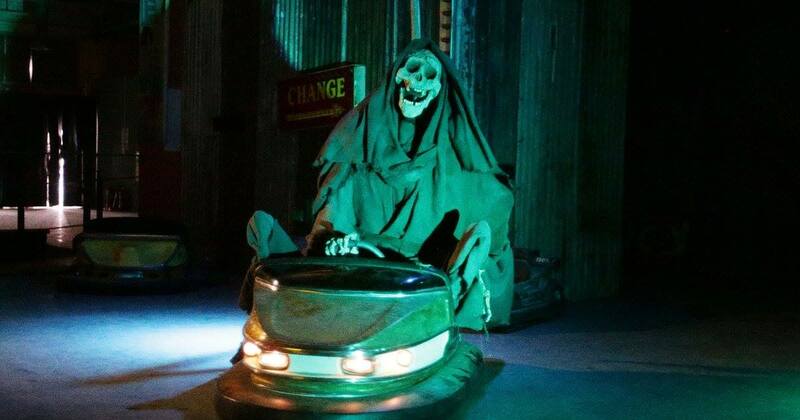 It remained in place for 90 minutes before the ride was closed down and the figure removed. 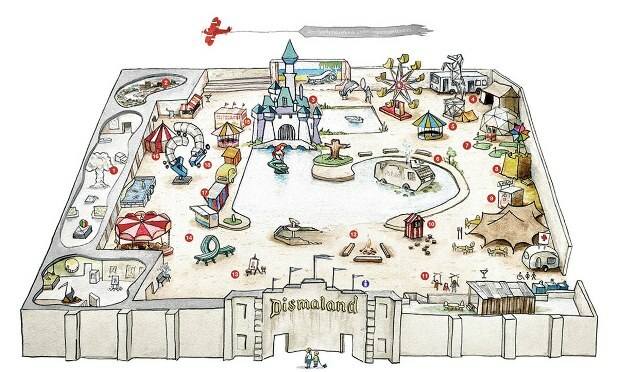 The Dismaland Bemusement Park is located at the former Tropicana, on Marine Parade, Weston-super-Mare, BS23 1BE. The park will be open everyday between 11 am – 11 pm from 22nd August – 27th September 2015. Admission costs £3 and under 5’s are free. The following are strictly prohibited in the park – spray paint, marker pens, knives and legal representatives of the Walt Disney Corporation. 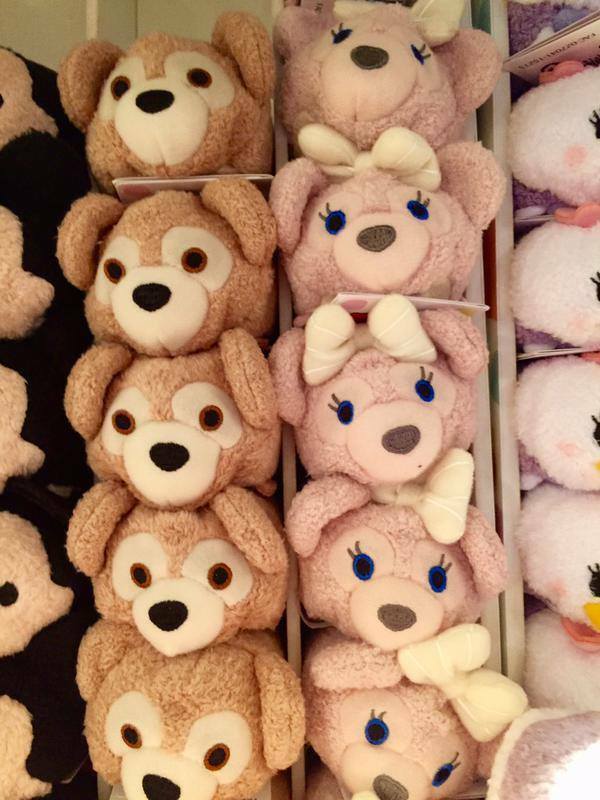 There will be a Disney Dreams! 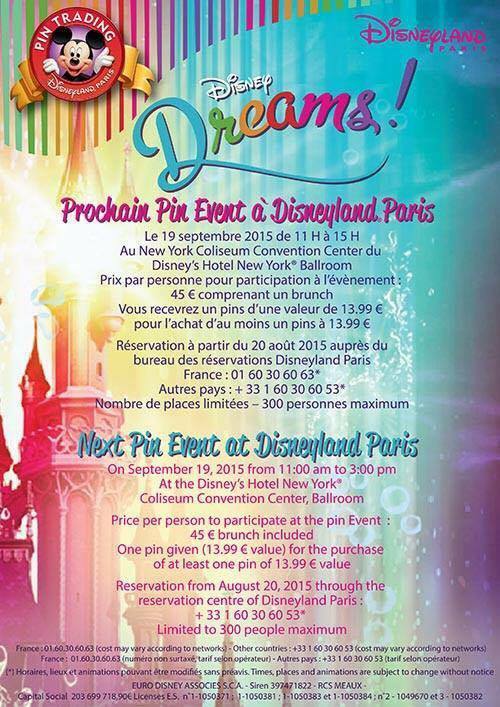 themed pin event held at Disneyland Paris on Saturday 19 September 2015 from 11:00 am to 3:00 pm in the Coliseum Ballroom at Hotel New York. The price per person is 45 euros and brunch is included. The event is limited to 300 people. Reservations are available from Thursday 20 August from the Disneyland Paris reservations centre on 00 33 1 60 30 60 53. The award winning Irish animation studio Brown Bag Films the creators of Disney’s Doc McStuffins has been bought by Toronto based 9 Story Media Group, owned by media entrepreneur Neil Court. Following the acquisition, Brown Bag Films founders Darragh O’Connell and Cathal Gaffney and senior management will remain on to head up Disney’s Doc McStuffins, the company said today. Based in Dublin, Brown Bags Films also has a base in LA as well as a studio in Manchester, England. “I am truly excited about this opportunity that we have worked so hard on and I look forward to continuing to produce the best animated content for children across the globe with 9 Story long into the future,” Cathal Gaffney said. “Over the past 21 years, Brown Bag Films has constantly evolved its business model, always keeping quality at the forefront of everything we do”. Brown Bag Film said the decision was taken to press ahead with the deal after Gaffney and fellow co founder Darragh O’Connell, explored a range of options to take the company to the next level. Vince Commisso, 9 Story Media Group chief executive, said they were thrilled to be joining forces with Brown Bag Films. “Cathal, Darragh and their team in Ireland have a well established track record and an outstanding reputation for producing high quality animation,” Mr Commisso said. A fourth series of ‘Doc McStuffins’ is now in production and the show is aired around the world. It has been a major factor in the expansion of the company over the last few years. This year, Brown Bag Films won Outstanding Children’s Programme for ‘Doc McStuffins’ at the 46th National Association for Advancement of Coloured People (NAACP) Awards. The Dublin-based creators of Give Up Yer Aul Sins, Granny O’Grimm’s Sleeping Beauty, Octonauts and Henry Hugglemonster continued to expand this year after securing a major deal with Amazon Prime resulting in the creation of 40 more jobs after the green-lighting Brown Bag Films’ ‘The Stinky and Dirty Show’ which began production in March. Disneyland Paris gets a mention at this years D23 Expo. Disneyland Paris got a quick mention at this years D23 Expo being held at the Anaheim Convention Center in California. 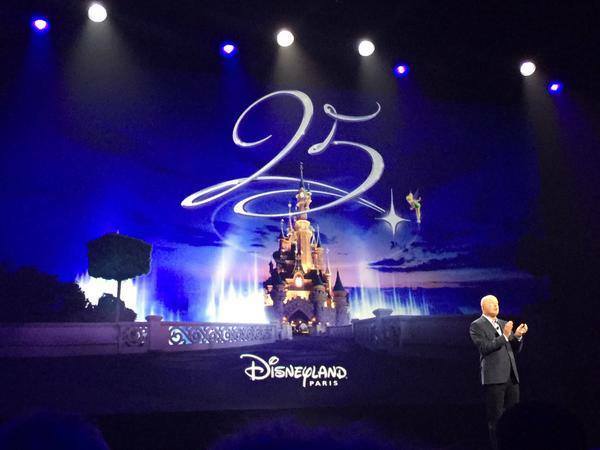 The forthcoming 25th Anniversary was mentioned and so was Ratatouille and the Star Wars Jedi Training Academy. Bob Chapek, Chairman Walt Disney Park and Resorts said “In Europe there’s a whole lot in store as we lead up the 25th Anniversary of Disneyland Paris in 2017”. “As you may know, the recently openend Ratatouille themed area includes an attraction that takes Guests on a cullinary adventure through Remey’s Paris and a resturant that shrinks our Guests down to Remey’s size – guests are loving it”. “And we launched Jedi Training Acadeny earlier this summer, and it’s been a big hit”. You can watch the a video of Bob Chapek’s presentation below. 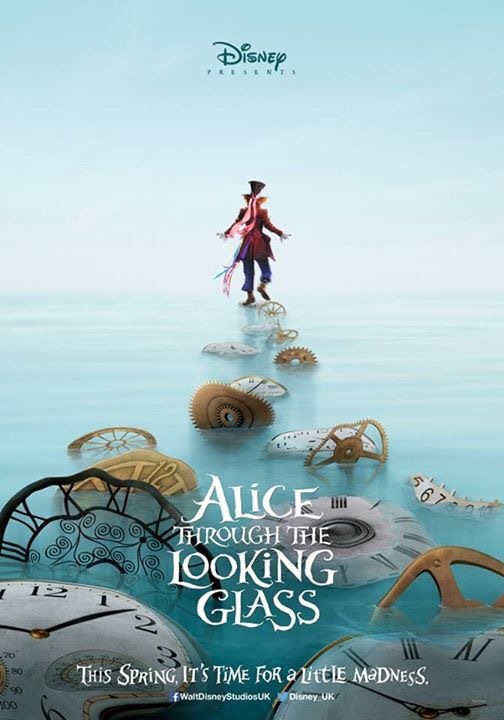 Alice Through the Looking Glass posters. Here are the first posters for ‘Alice Through the Looking Glass’ due for release in cinemas May 2016. It is a sequel to the 2010 Alice in Wonderland and will be directed by James Bobin and written by Linda Woolverton. Tim Burton who directed the previous film will produce it. The film stars Mia Wasikowska, Johnny Depp, Helena Bonham Carter, Anne Hathaway, Sacha Baron Cohen and Rhys Ifans. It is scheduled to be released by Walt Disney Pictures on May 27, 2016.